Ubisoft promised a new update for its tactical shooter game Rainbow Six Siege a couple of months ago and as promised, the update is now available across the platforms. The update got delayed by almost a week from its original release date, however, it offers a plenty of new content and features for its players. 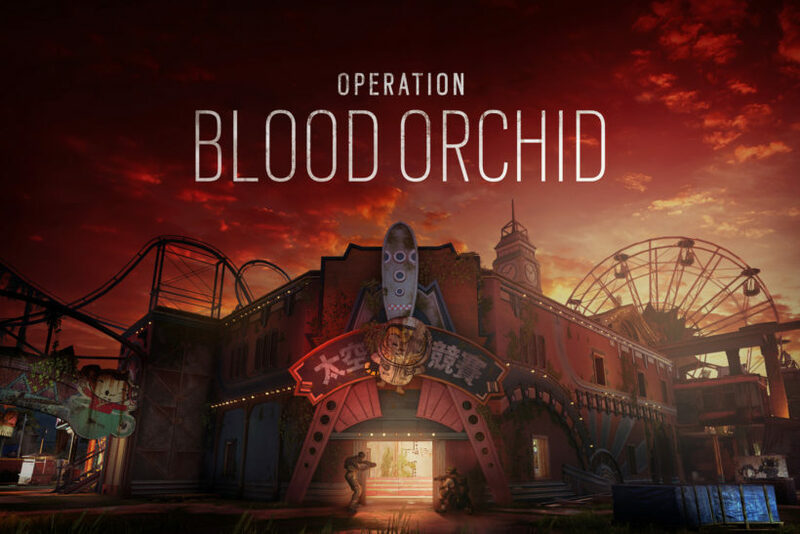 Operation Blood Orchid offers a new map ‘Theme Park’ for free, which origins from a deserted theme park in Hong Kong. While it also adds three new operators and some improvements and bug fixes. The three new operators are currently available to the season pass holders for a period of one week, after which the players will have to unlock it using their R6 credits. The improvements include better lighting system, stability, improved textures (for PC), reduction in loading screen time and much more. According to Ubisoft, this is perhaps the biggest update ever released for the Rainbow Six Siege till date. The patch notes also list some improvements with server connectivity and several overall performance improvements. For detailed look into the patch notes, head over Ubisoft’s page right here. Moreover, Ubisoft noted that they are testing something known as ‘Latency Alignment’ that will help in making 1v1 matches more ‘consistent’. While they are also working to look upon the registration problems and network connectivity issues. Rainbow Six Siege is now available for PC, PS4 and Xbox One. Stay tuned for more updates!